How do I combine videos? 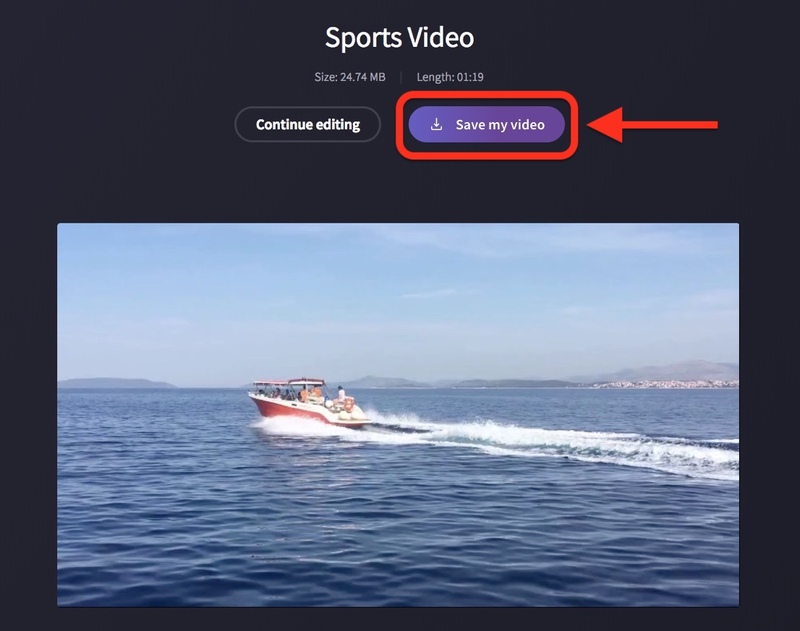 If you have 2 or more videos (or images) that you would like to put next to each other and merge into 1 video, you can easily do this using Create. Simply add the videos to your project, then drag and drop them into the timeline one after the other so they are next to each other. When you export the project, the videos you added to the timeline will be turned into one video file. Then click Browse my files in the left window that appears. In the browsing menu that opens, find the videos on your computer. Select them and click Open. 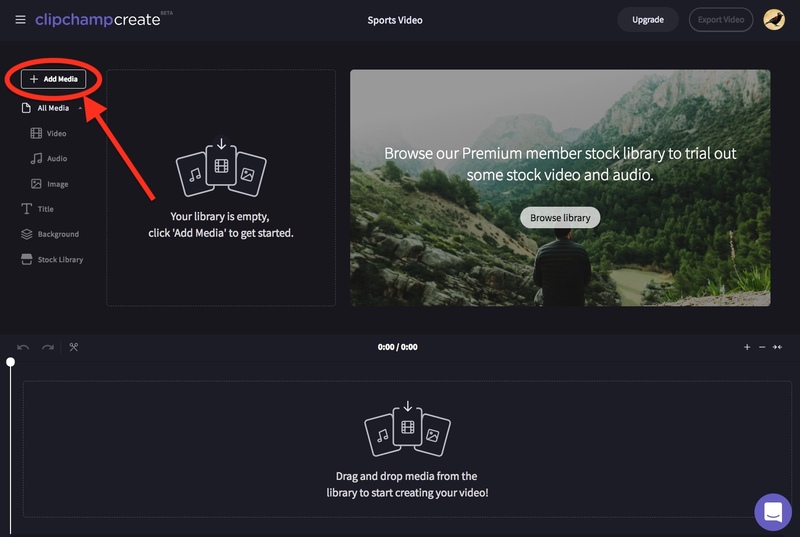 This will add the videos to your project's media library. Don't leave any blank space in the front of the first video or between the two videos, otherwise this space will show as black in your final video. 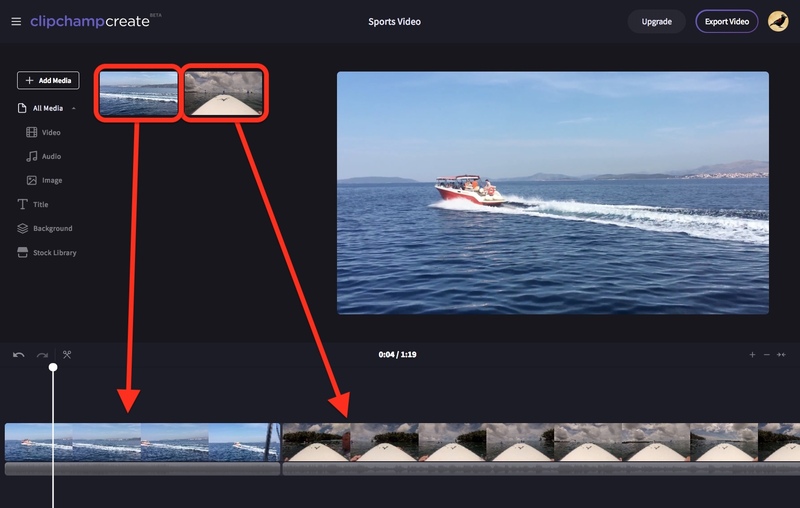 TIP: you can also trim or split the videos to remove unwanted parts, or add filters, text and other effects (see how to edit a video for more information). 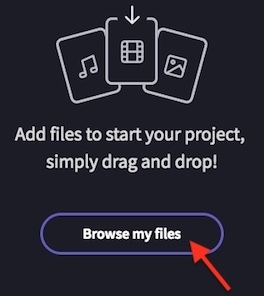 In the panel that appears to the left, click the purple Export video button. 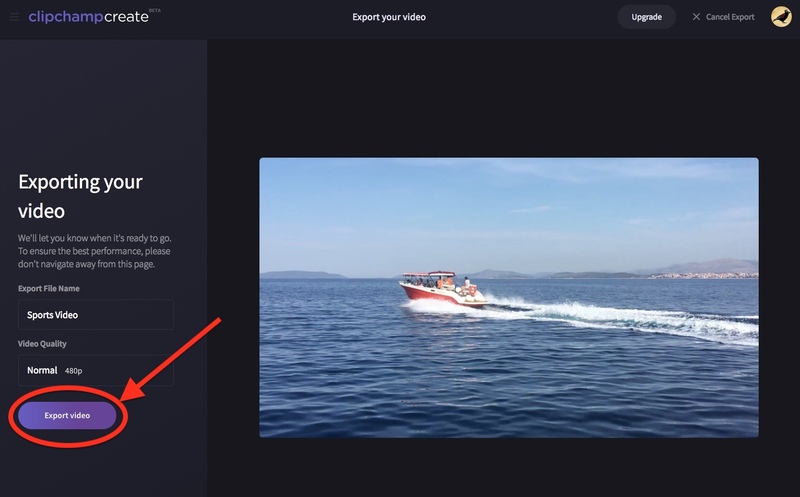 Once your video has been exported, you will be taken to a screen where you can watch and save the video. Click Save my video to save it to your computer. The video will either be saved to your Downloads folder, OR a menu will appear asking where you would like to save it. Choose a folder and click Save. Your two videos have now been combined and saved as one .mp4 (MPEG4) video file to your computer. 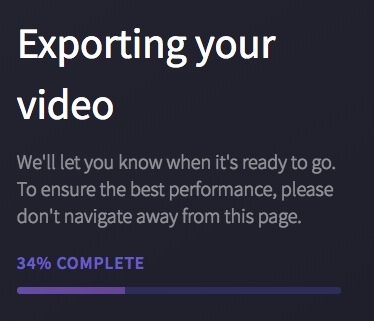 If you can't export your video or it exports too slowly, please see this article for troubleshooting tips that might help you to export successfully. What format is my video exported in?